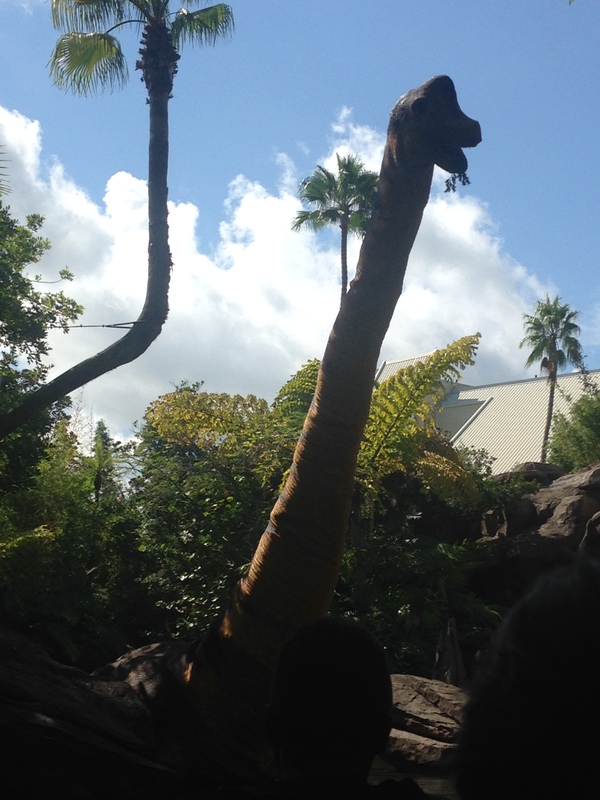 Our next stop was Jurassic Park! For such a massive movie geek like me, the excitement began from the amazing moment that you walk through the gates seen in the movie. I can’t remember the last time I was able to enjoy being a movie geek to this extent! 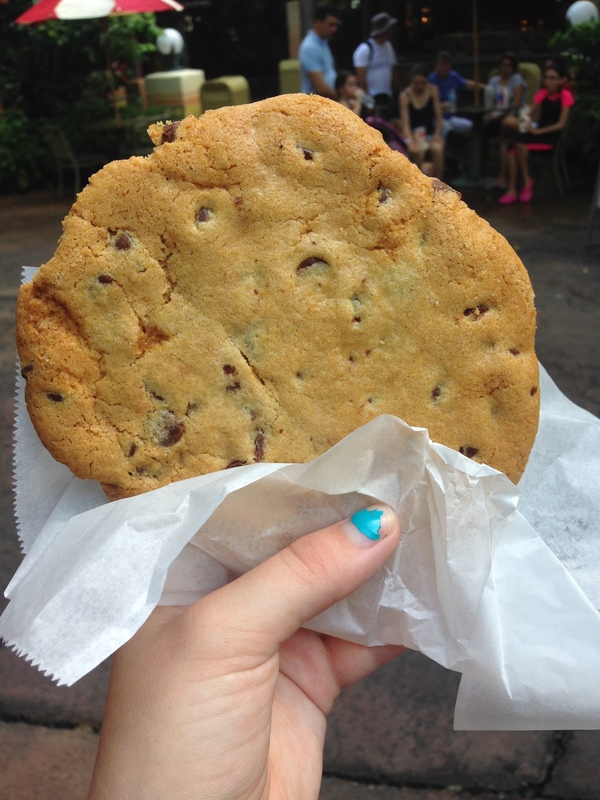 As a side note, we had the most amazing cookies in this part of the park. They were absolutely massive, unbelievably delicious and only a couple of dollars so I would definitely recommend them! Walking over to the ride you could see the Jurassic Park cars from the original movies, with dinosaurs looming out of the bushes behind them. There also seemed to be some sort of show that i’m guessing was connected to the recent Jurassic World. It looked like the story line was a dinosaur attempting to escape its cage and the keeper trying to prevent this from happening. 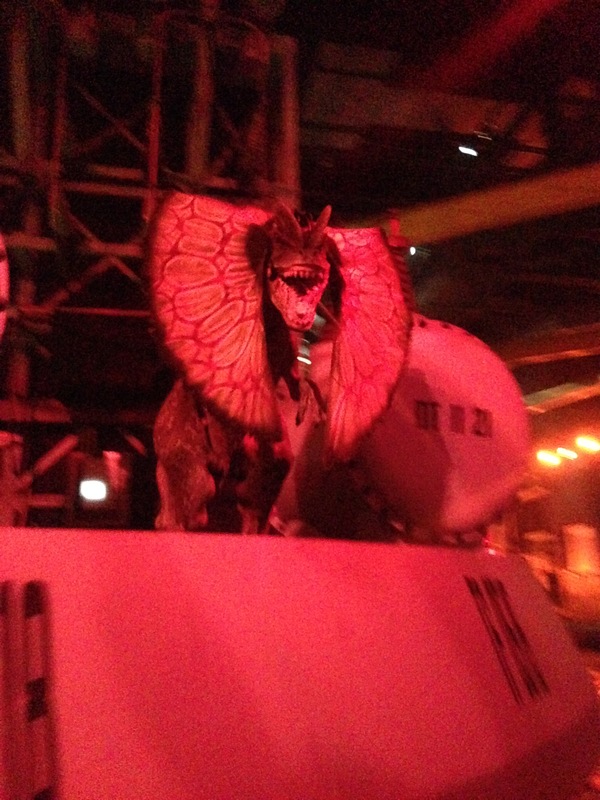 There was an amazing robotic dinosaur which kept popping up and moving around (which looked almost scarily realistic). 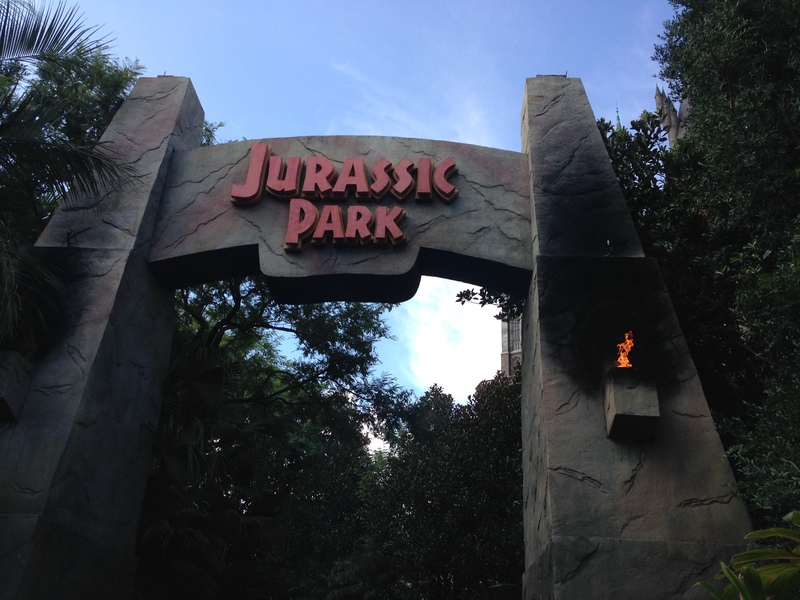 Unfortunately we didn’t stop to watch it as we were all far too busy sprinting over to the Jurassic Park ride! When I heard that it was a water ride, I was a little worried that it might be childish. I was quickly proved wrong however (much to my delight). 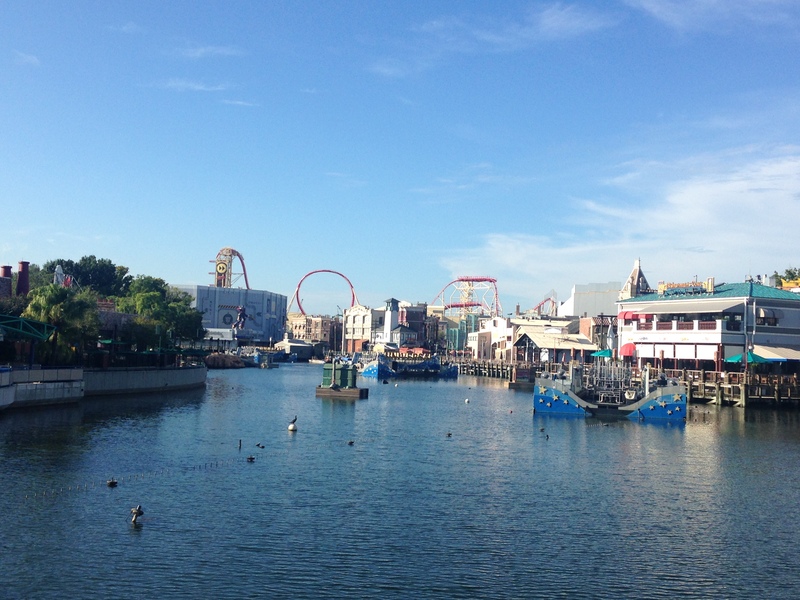 The boat takes you along different sections of the ‘park’ with a voiceover introducing the dinosaurs that you see – as though you were actually in Jurassic World. You then come to a section where the dinosaur has escaped from its cage! You travel into a building and encounter a number of dinosaurs which have gained their freedom, before facing the famous T-Rex!!! Hand on heart, it truly was a fantastic ride. 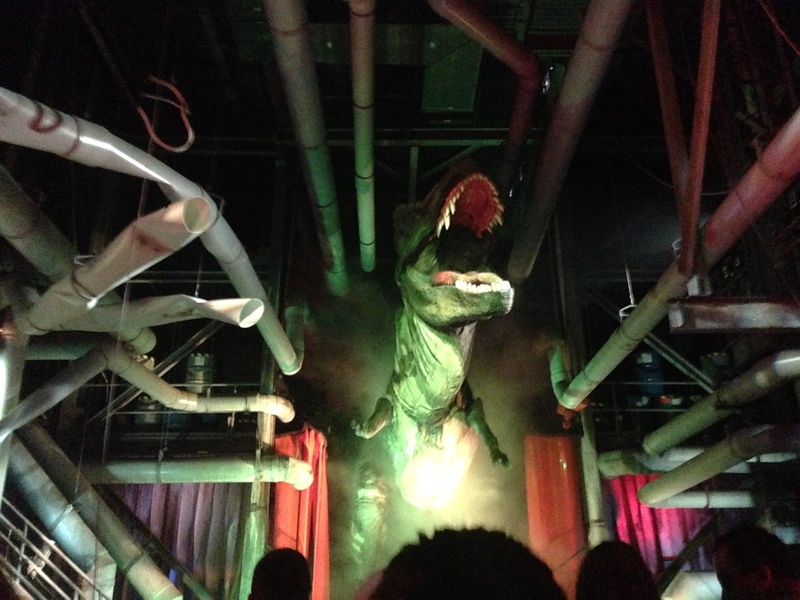 The dinosaurs looked pretty realistic, the tour element really made you feel like you had stepped into the world of the film, and of course the ride ended (as is expected from a water ride) with one final, massive splash! After Jurassic world we then made our way over to Toon Lagoon. I have to admit I have no idea what this actually is, but there was a water ride there which looked INCREDIBLE. It created an absolutely enormous splash and the people coming off it genuinely looked drench to the skin – admittedly we avoided this ride because of that fact. Definitely one I want to try on another day though! The next stop? Marvel! I am a self-confessed Marvel geek – particularly the Avengers and the X-men. 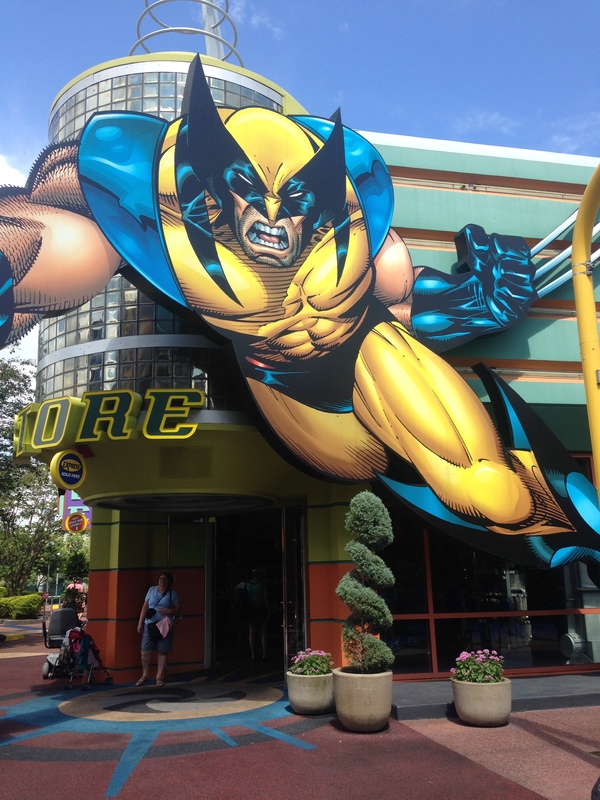 So, coming to the Marvel Super Hero Island was truly a dream come true! The only ride in the area was connected to Spiderman, which I must confess I actually found a little bit disappointing. I like Spiderman, but I’m not a massive fan. I found it a bit surprising actually that after all of the success of the Avengers franchise in recent years that there was no ride dedicated to them! Maybe this should be something that Marvel need to start looking in to…. 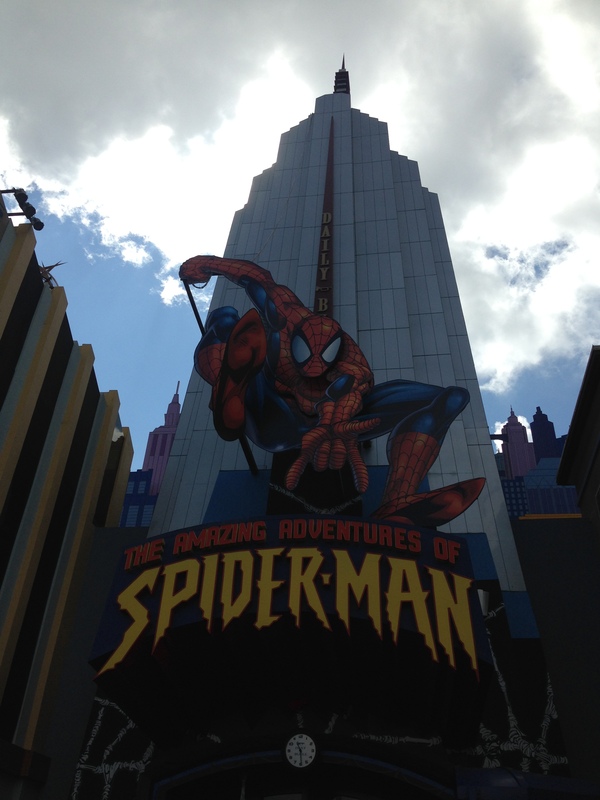 Spiderman was still of course a very fun ride and is something I would recommend to anyone visiting the park. I think perhaps all the rides are just that little bit more enjoyable if you’re a fan of the movie or book etc. The whole area looked really interesting, and I would have loved to have had a browse through the comic store just out of sheer curiosity. (I don’t actually own any comic books and I don’t particularly have any desire to start collecting them, but it would still be interesting to have a look around!) 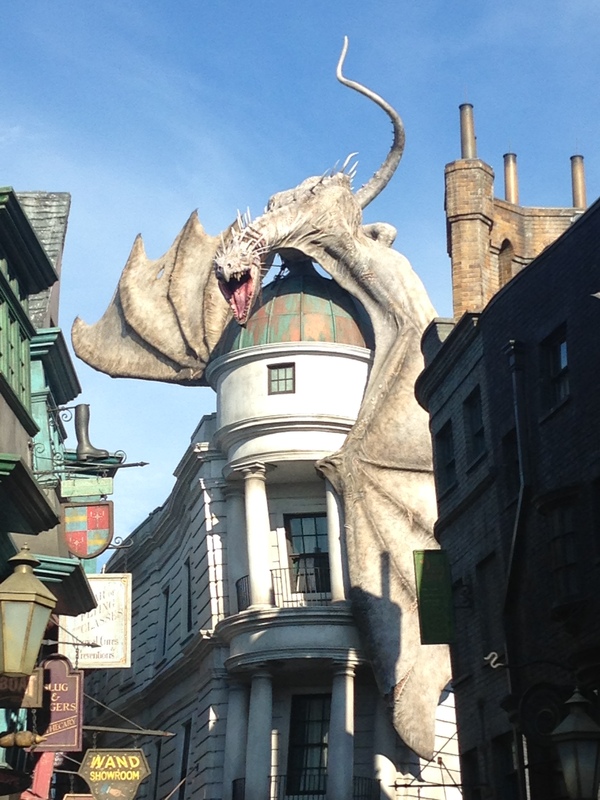 What can I say, Universal Studios proved once more to be an incredibly entertaining, magical place! As I have probably mentioned before, I am essentially a child in an adults body. 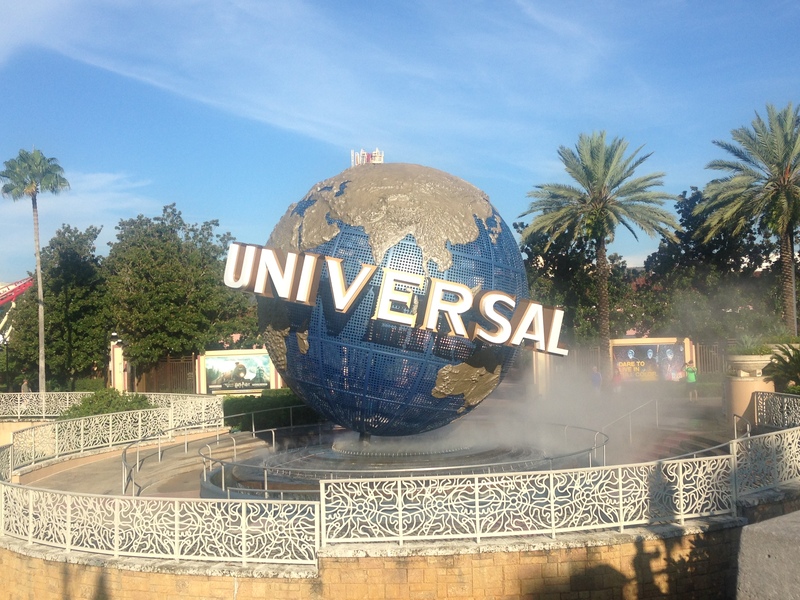 Therefore it should come as no surprise to learn that whilst in Orlando I was determined to visit Universal studios. Much to my delight I wasn’t the only member of the trek who felt this way, and so a group of us went together. 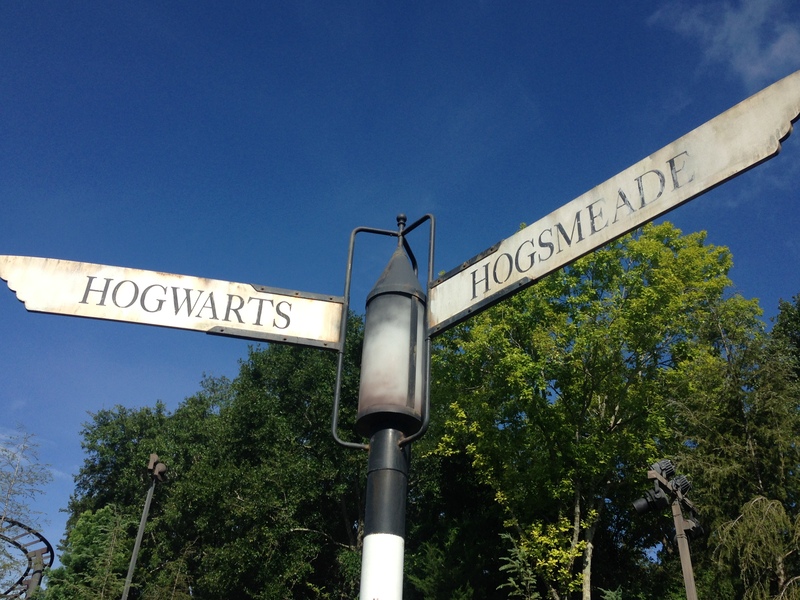 We bought the ticket which would allow us to go between the two parks – Universal’s Island of Adventure and Universal Studios Florida. I think this was the best option as in one day we were able to get around most of the rides in both parks, and therefore I can’t help but think that we would have got a bit bored if we had only had the options available in one park. We began the day by going to Harry Potter World. We had been advised to do this first as apparently it can get insanely busy later on in the day. Somewhat surprisingly, we didn’t actually have any problems with queues at all during the day. I think the longest that we had to wait for something was 35 minutes, and actually even that wasn’t boring. Something I really like about Universal is that they try and make your wait for a ride interesting entertaining. So it isn’t just a queue with some music playing repeatedly overhead like at some parks. Instead, you almost go through a journey as you wait for your ride. For example, as you waited for the Harry Potter ride you walked around Hogwarts, saw the paintings move and talk to each other, you visited Dumbledores office etc. So although technically you were waiting in line, it felt more like you were exploring the world of the ride – something that I loved. 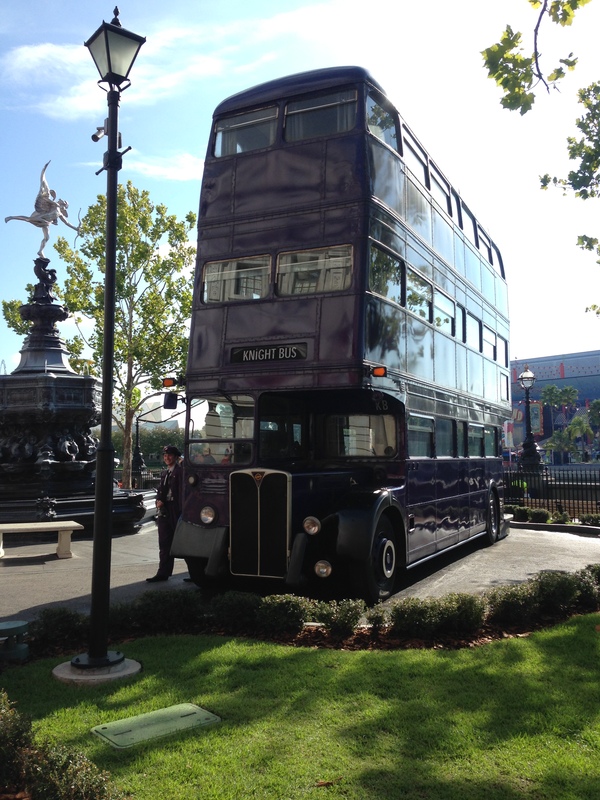 Anyway, as we reached Harry Potter World it really did feel like we had stepped back in London – which was quite a strange sensation. They had paid a lot of attention to small details such as the road signs in England, and the lights you find along the Thames. I thought this attention to detail was very impressive and it’s nice to see that they put so much time and effort into all their rides. 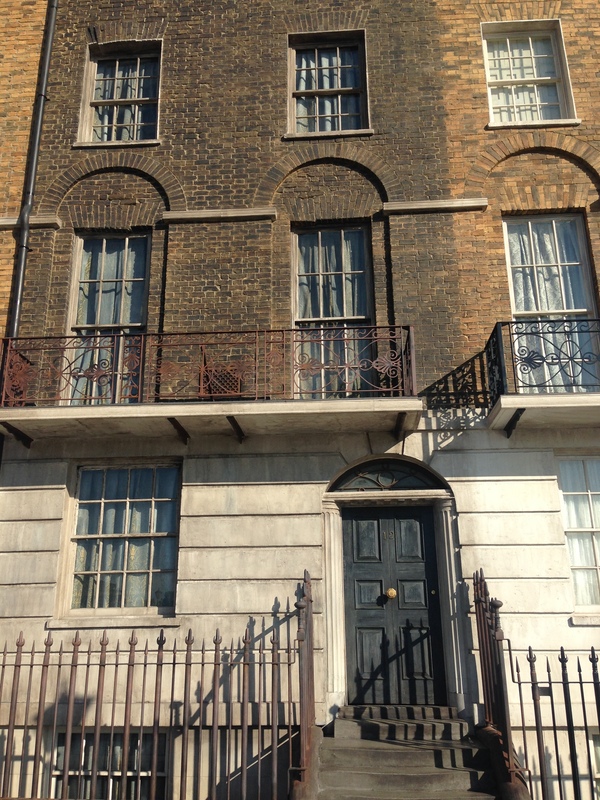 We walked past the house used by the Order of the Phoenix, and the overnight bus. There was a red phone box for people to take photos in (which I think is more exciting if you’re not from England, and then we explored Diagon Alley! Sadly we didn’t really have much time to explore the shops properly. We wanted to try and do as many of the rides as possible, and we wouldn’t have been able to do that if we had been continuously distracted. When I next come back to Universal (which I am 100% doing) I’d like to be able to spend a day looking around all of the little shops and stalls the park has, as well as the rides. Anyway, we went on a ride that takes you through the vaults of Gringotts bank. It’s not really a roller coaster, I think I would describe it more as a roller coaster stimulator. Essentially, as you’re going along the tracks, you see a story playing out along the screen. In this case, Voldemort attacking the bank, a dragon escaping and Harry and his friends trying to get you to safety. There are some moments were you’re diving down the track and being thrown around, but not loop-the-loops etc that I would associate with a ‘real’ roller-coaster. The visuals were fantastic and they were made even better by the fact that you’re wearing 3D glasses – it really does feel like you’re really there! Another thing I really liked was that on the train ride, the window was actually a screen which played a little video. You heard Harry, Ron and Hermione talking in the train corridor, you saw the shadow of a dement or drifting by, you watched as London turned into typical English fields and saw Hagrid riding his flying motorbike. I love how the park have made the effort to make everything fun and entertaining, and it really does make the experience that little bit more magical! 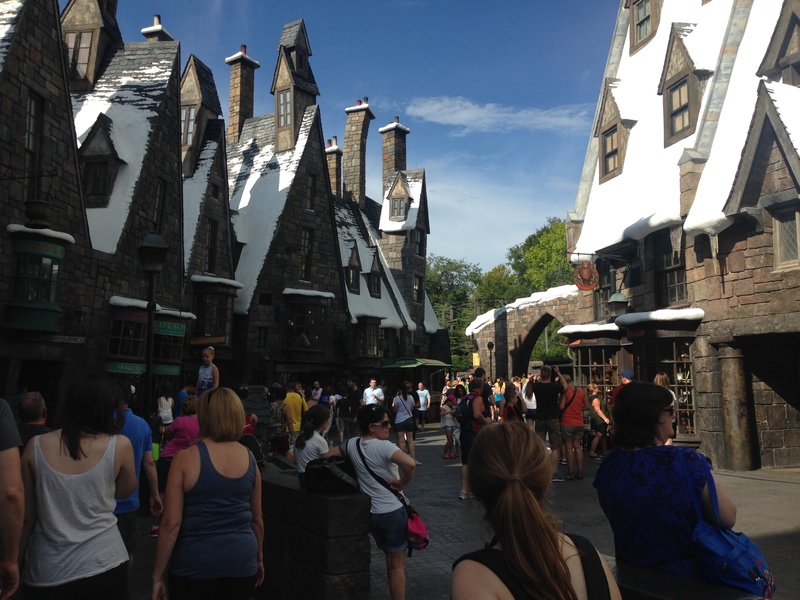 Getting off the train we suddenly found ourselves in Hogsmeade! Once again, we sadly weren’t able to have as much of a look around as I would have liked. 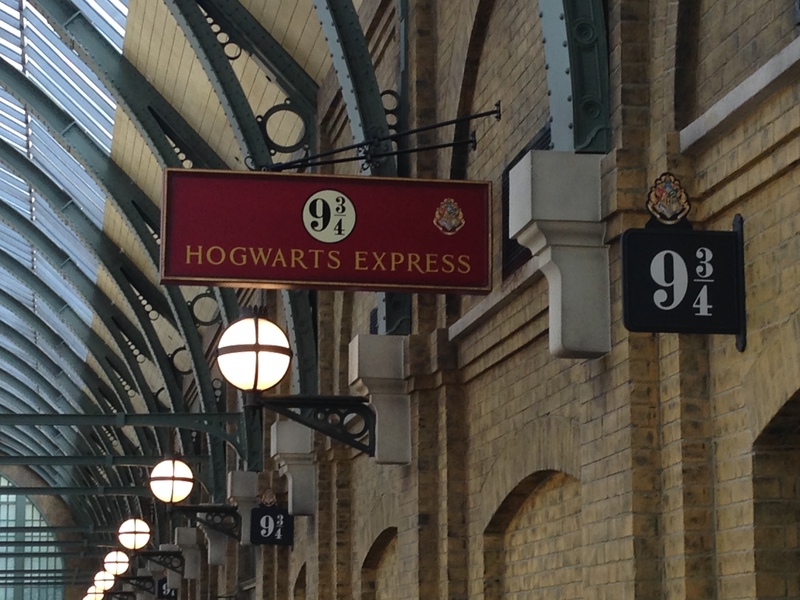 We did however, get to visit Hogwarts, which definitely made up for it! The rides here were fantastic and once again, they really did make you feel like you were part of an adventure, and not just waiting for a ride in a theme park! 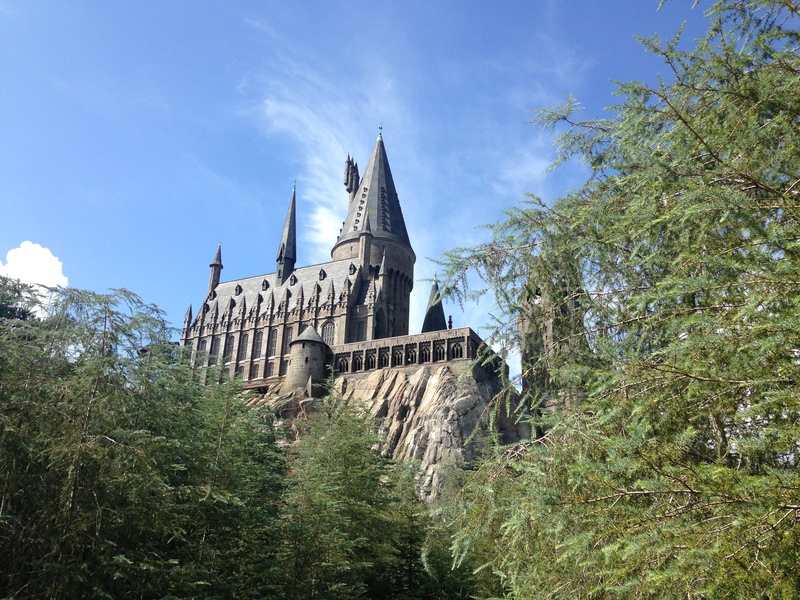 Harry Potter World is a definite must. I was a really big fan of the books when I was younger, although not so much now that i’m older and i’ve found other things to obsess over. Our group ranged from an obsessed Potterhead to someone who had never having read the books or watched the movies, and yet all of us thoroughly enjoyed it. I would recommend it to anyone, even if they’re not a massive fan. 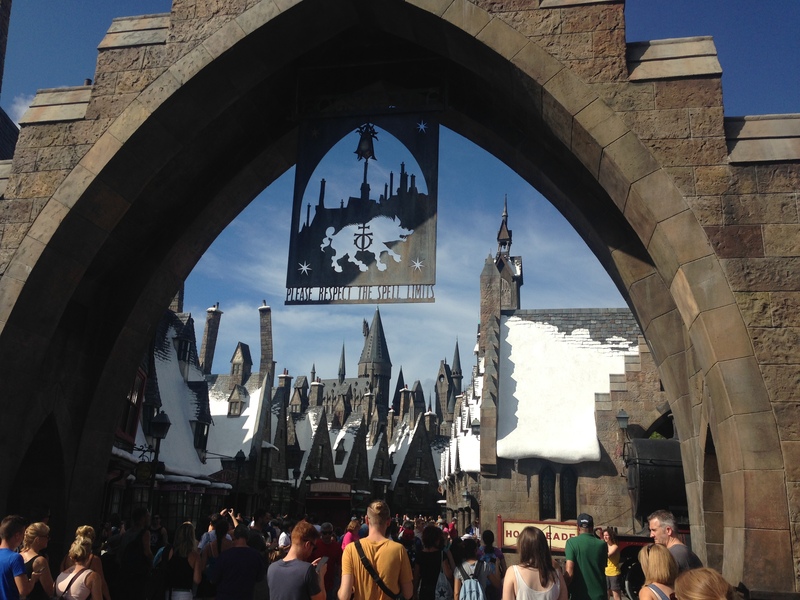 If nothing else, the rides are brilliant fun and Harry Potter World does include one of the ‘real’ roller-coasters of the Theme Parks. A fantastic way to start the day! After over a week of near non-stop travelling and site seeing, we were all ready for some down time. 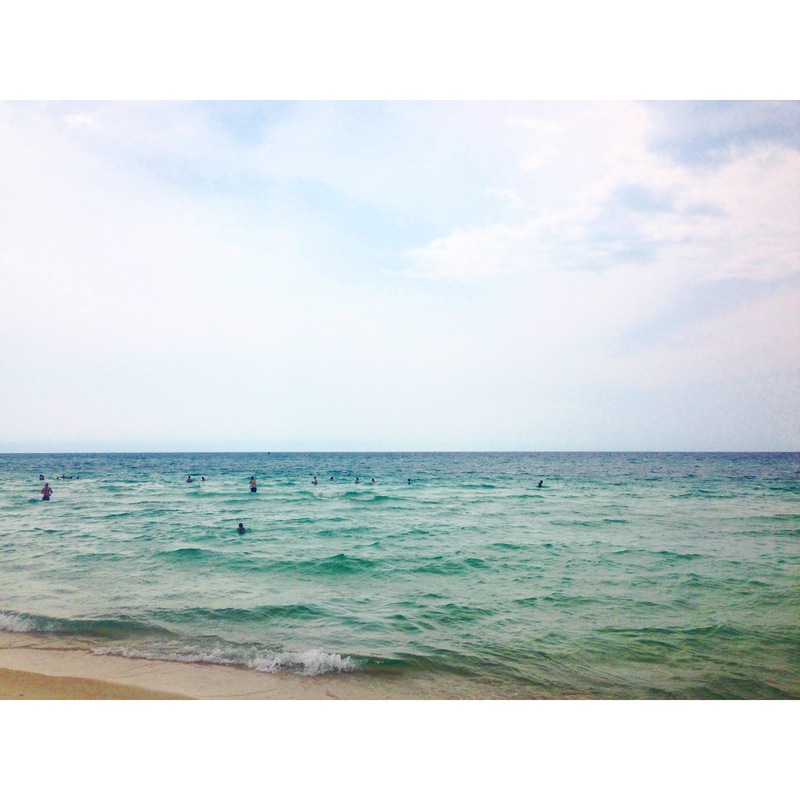 Thankfully, the next stop was at Panama City beach, Florida. 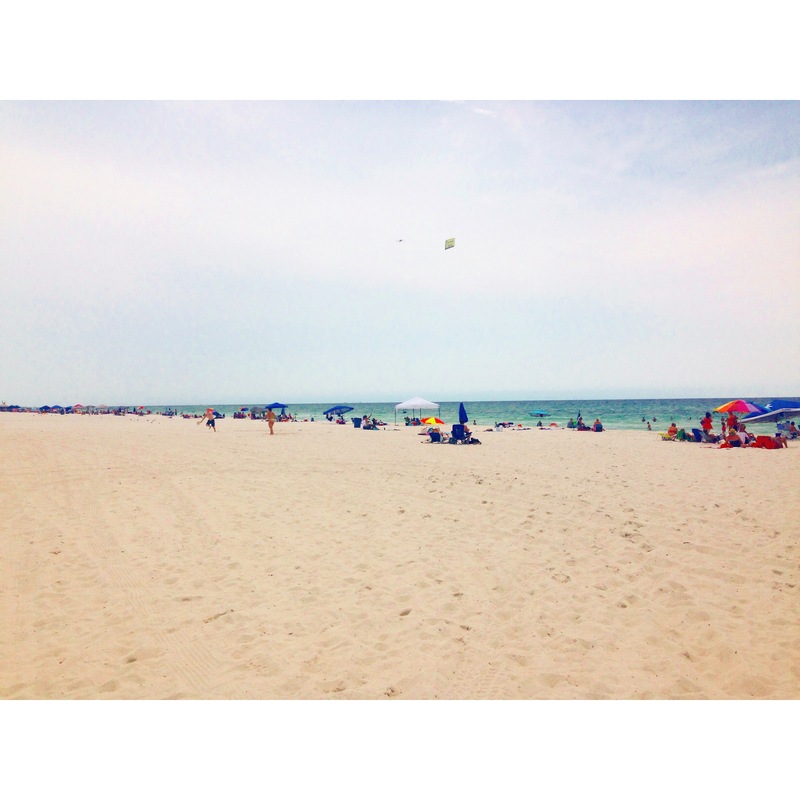 The sand there is gorgeously white, and the water truly is crystal clear. I was surprised actually, as walking out into the sea I must have got a good 20-30 meters from shore and I was still only waist deep! It should probably come as no surprise that our day here was mostly spent on the beach or around the pool. Sadly, I burn incredibly easily so I had to spend most of the day in the shade. However, it still gave me the opportunity to read my book with an exquisitely beautiful view, so I was very satisfied. 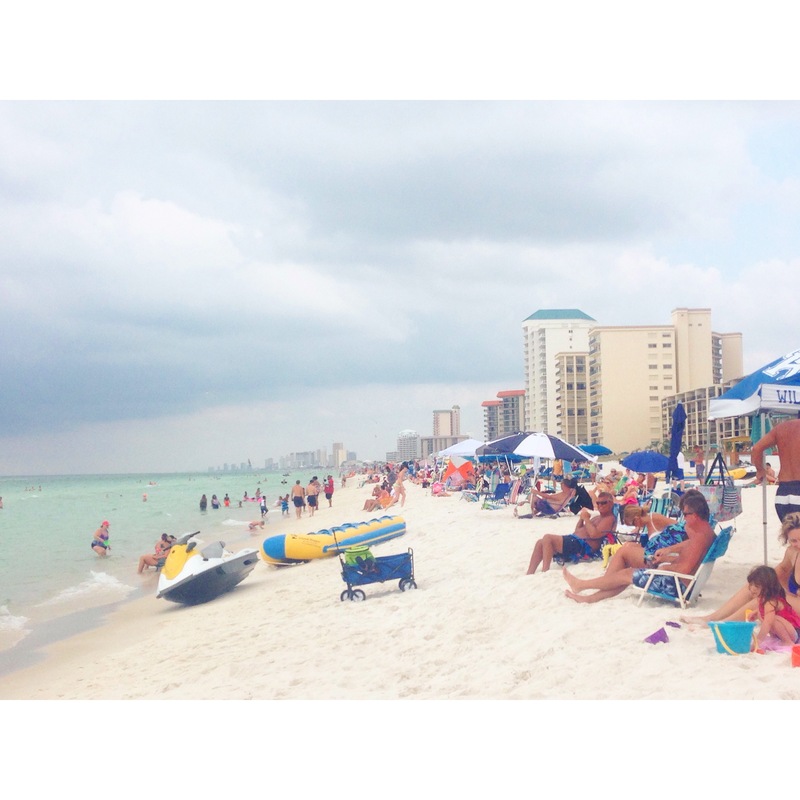 Posted on September 10, 2015 September 10, 2015 Categories AmericaLeave a comment on Bring on the beach! 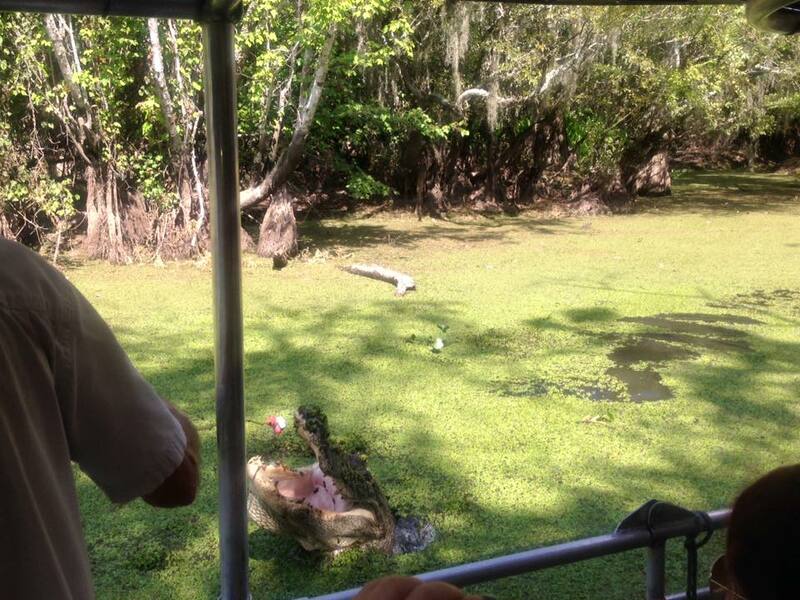 As we left New Orleans, we were able to stop off to do a swamp tour. 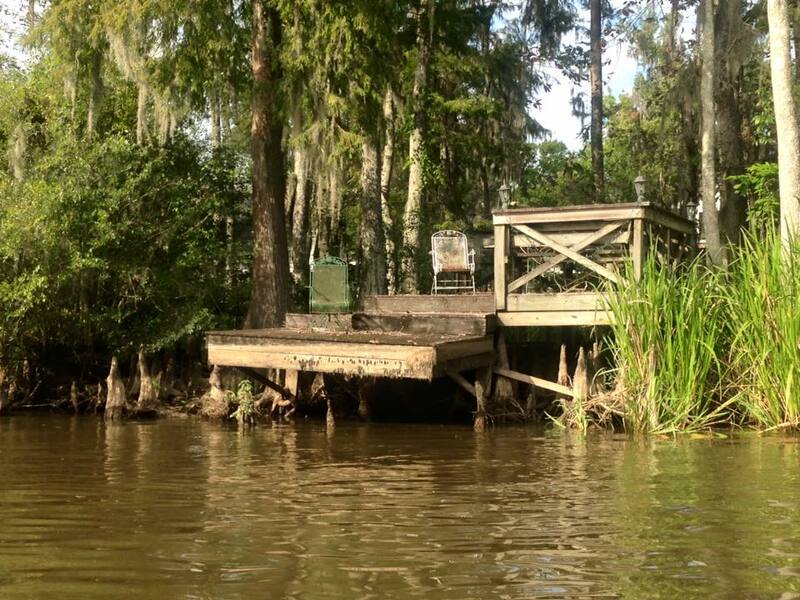 In all honesty i’m not actually sure where we did it, just that it was in a swamp! The tour lasted for about an hour and a half, and it was incredible. 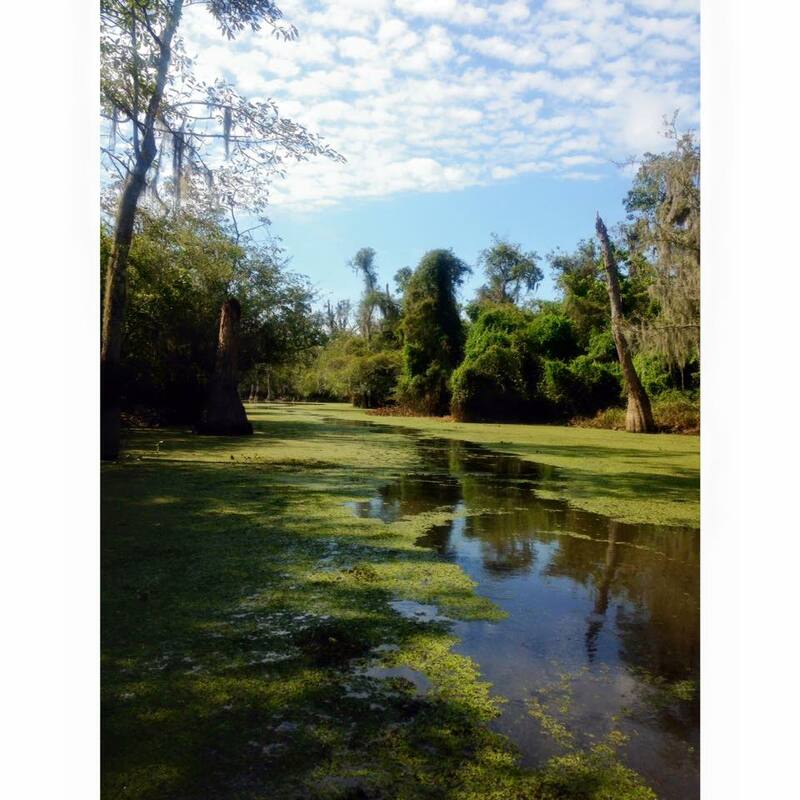 I’ve never been in a swamp before, but I personally thought that it was absolutely beautiful. 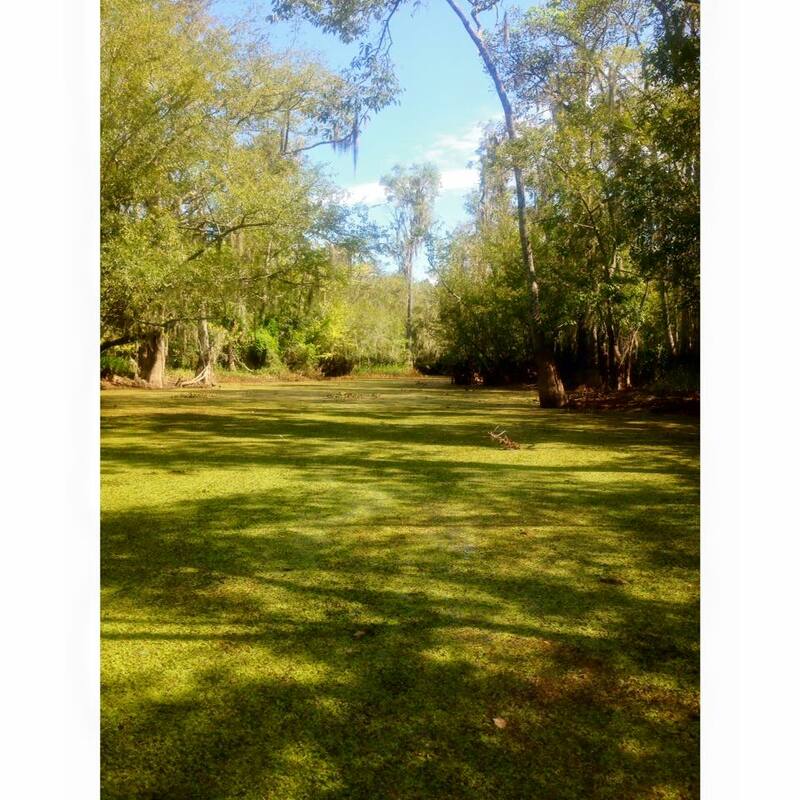 It was incredibly green and luscious – although this is because it’s summer. Perhaps my opinion would have been slightly different if we had visited during the winter months! The guide was so friendly and was able to make everything seem truly interesting – which can’t have been particularly easy at times. 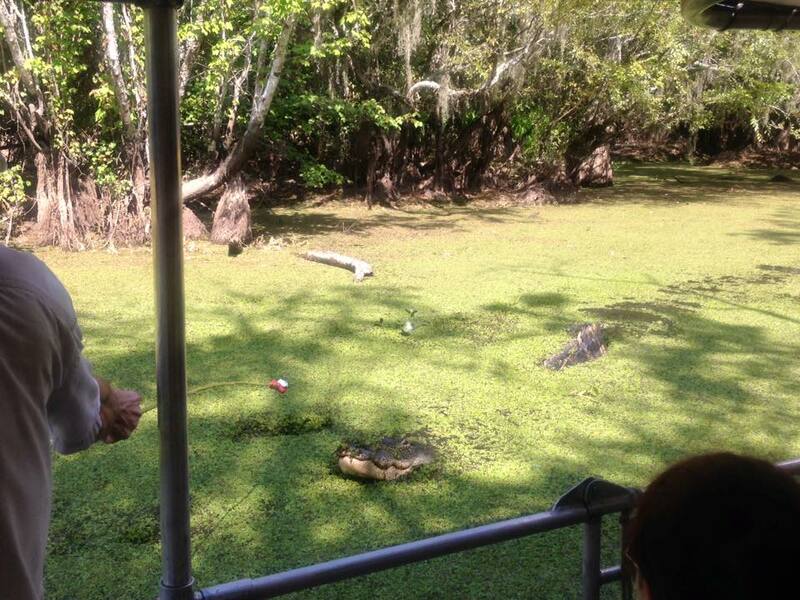 Much to our delight we were able to see some wildlife, including turtles, a racoon (the first I’ve ever seen) and alligators. 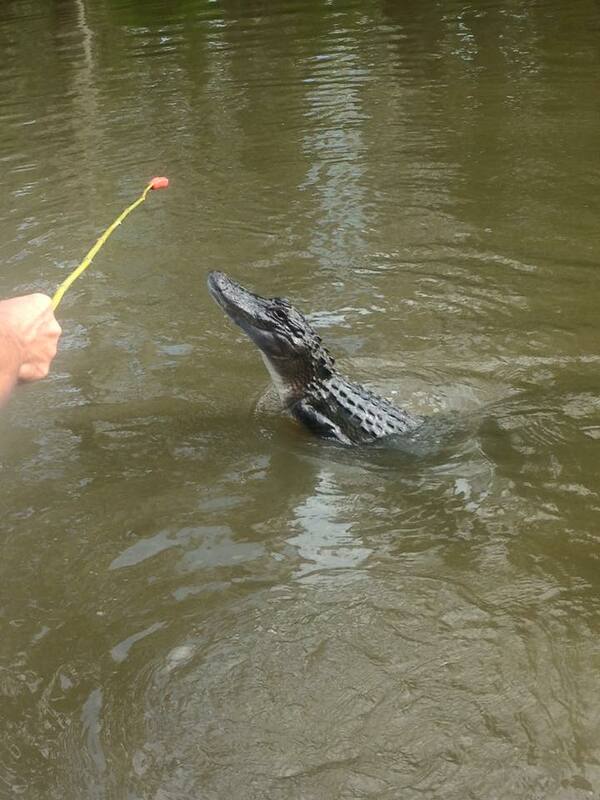 Something I found very surprising was that the guide threw marshmallows over the side of the boat in an attempt to entice the crocodiles closer. I thought this was quite a strange choice for a meat eating animal, although someone later suggested that it might simply be because the sweets float! It was a great way to spend the morning and I had a fantastic time. Here are the photos from the trip – enjoy! 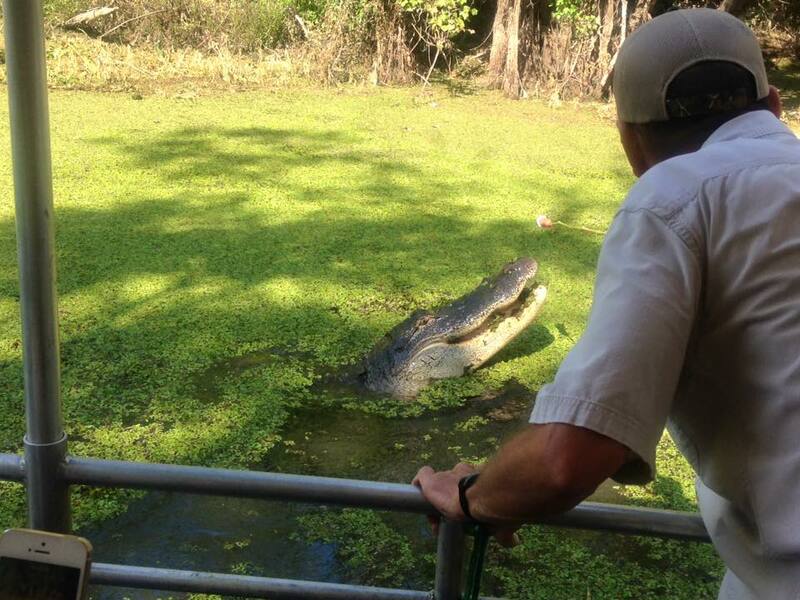 Posted on September 9, 2015 September 9, 2015 Categories AmericaLeave a comment on See you later, Alligator! 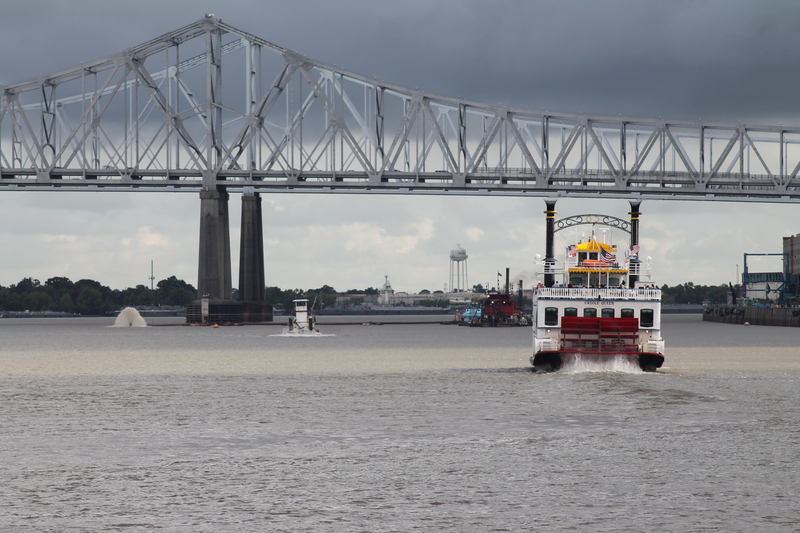 We were then able to enjoy a full day in New Orleans. 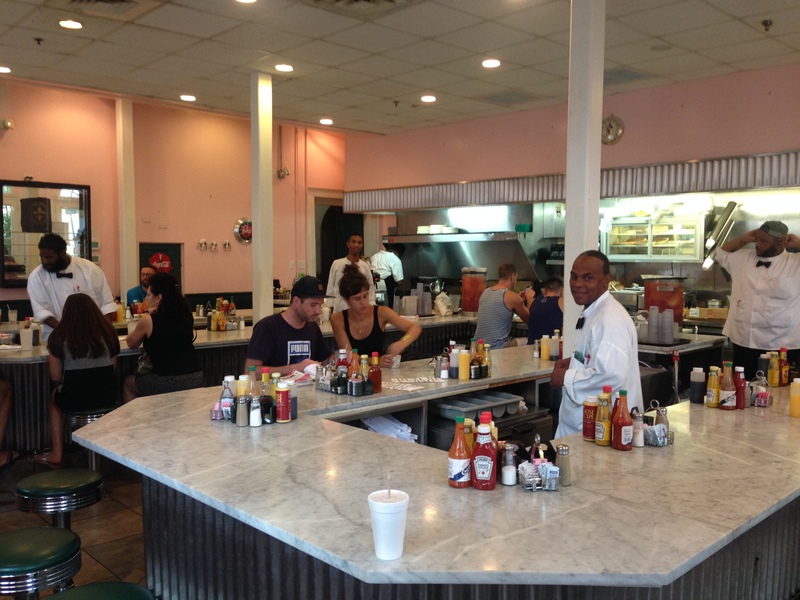 We began our morning by getting brunch in one of the small restaraunts in the French Quarter. 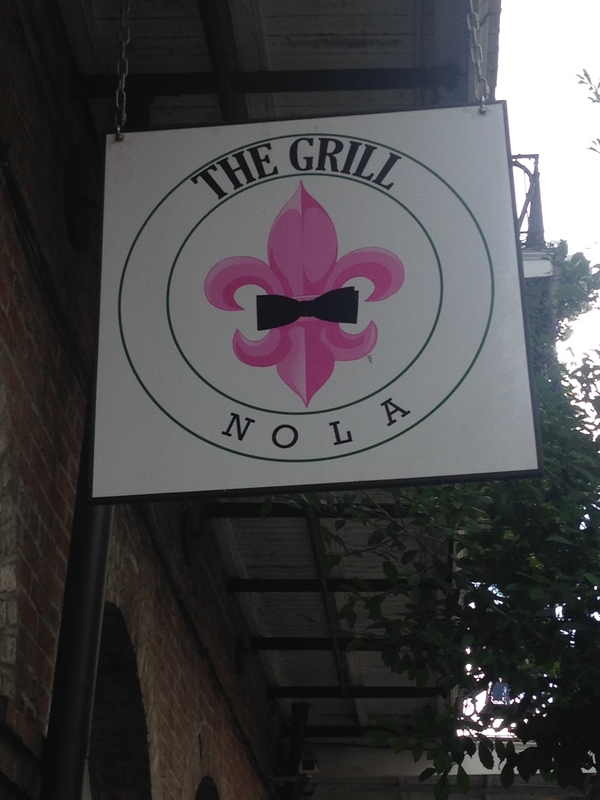 Named The Grill Nola it was recommended to us both by my travel book, and by a friendly doctor we had got chatting to in the reception of our hotel the night before. It turned out that his ravings were incredibly justified! The place was gorgeously decorated, and looking around it did feel like you had suddenly been transported back in time. We sat on small stools around the counter which gave it a homey feel, and the fact that there was a queue of people waiting outside the door was testament to just how popular this place was! The food was absolutely incredible – I can hand on heart say that it was the best pancake I have eaten in my entire life! It has probably also got to be the best service I have ever had in my life. The waiters were so friendly and happy, that you just couldn’t help but laugh and chat with them. They called orders across to the chef so quickly and in such rapid succession that we were convinced that half of our orders would be wrong or missing. But no, they all arrived perfectly. One of the guys was so unbelievably cheerful that I couldn’t help but compare him to Olaf the snowman from Frozen. I wish that we could have gone back to this place repeatedly, but sadly we didn’t have the time. 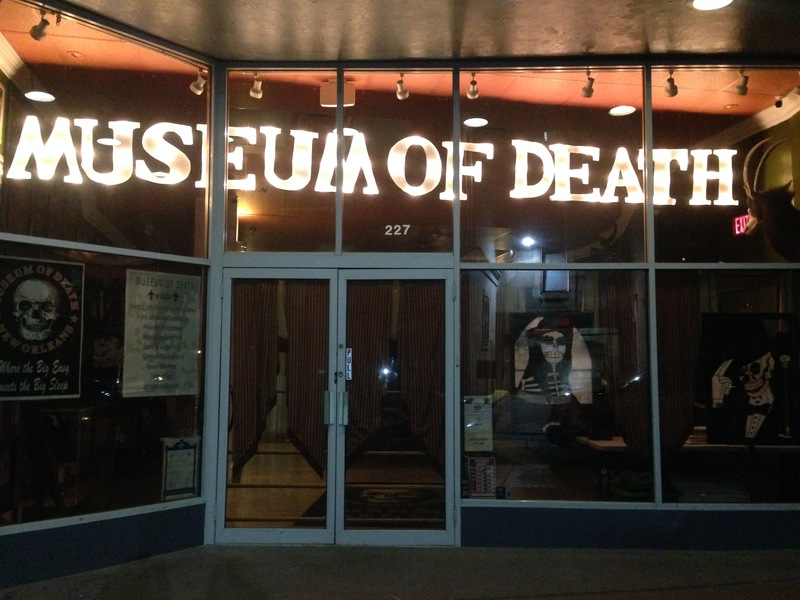 For anyone who is visiting New Orleans GO TO THIS PLACE ASAP!!! For the remainder of the day we split up and pottered around the city. 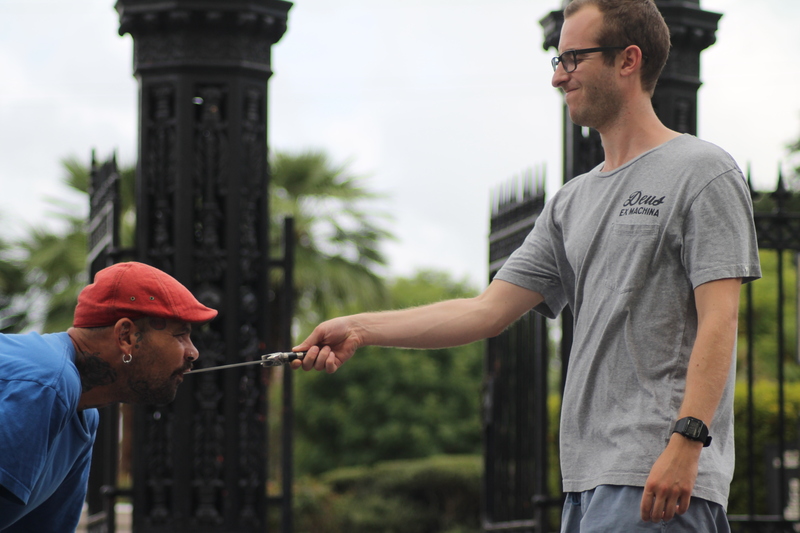 There wasn’t really anything that I particularly wanted to see in New Orleans, so it was nice to have some time just to wander around the city and take in the sights. Unfortunately we didn’t have time to go on a steam boat ride, which would have been great fun. You can do an evening Jazz cruise along the river with dinner which I think sounds incredible, although perhaps that’s something to do with a significant other at some point! We did however, get to do a Voodoo tour in the evening. This was something that I was absolutely determined to do (even if no one else in the group had wanted to do it) but thankfully everyone participated – even if it did take a little bit of persuasion! The tour we went on was a factual, historical tour (not a ‘scare the pants off you’ type of tour) which suited me perfectly. 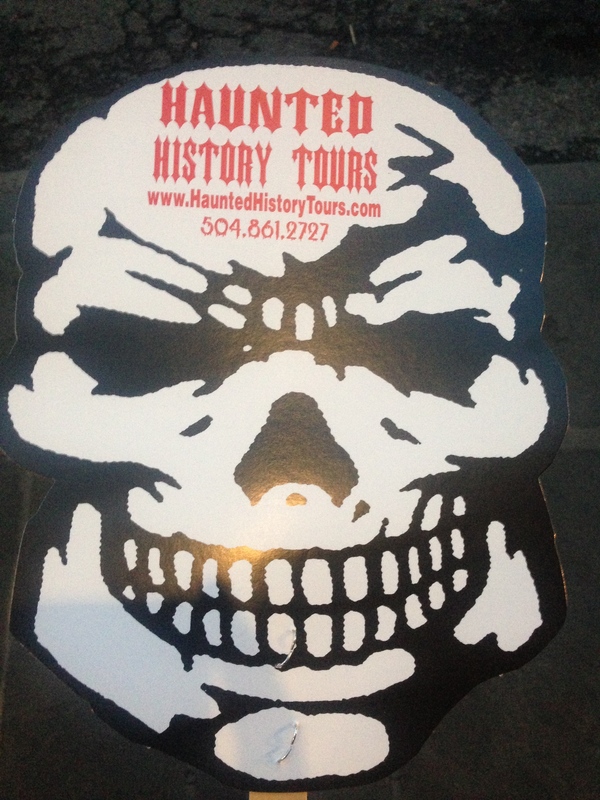 There’s another tour which apparently takes you around the graveyards and essentially tells you ghost stories. Whilst that does sound very cool, since we only had one evening, I wanted to make the most of my one opportunity to actually learn about Voodoo from someone who knows about it personally. The tour was, in my opinion, fantastic. 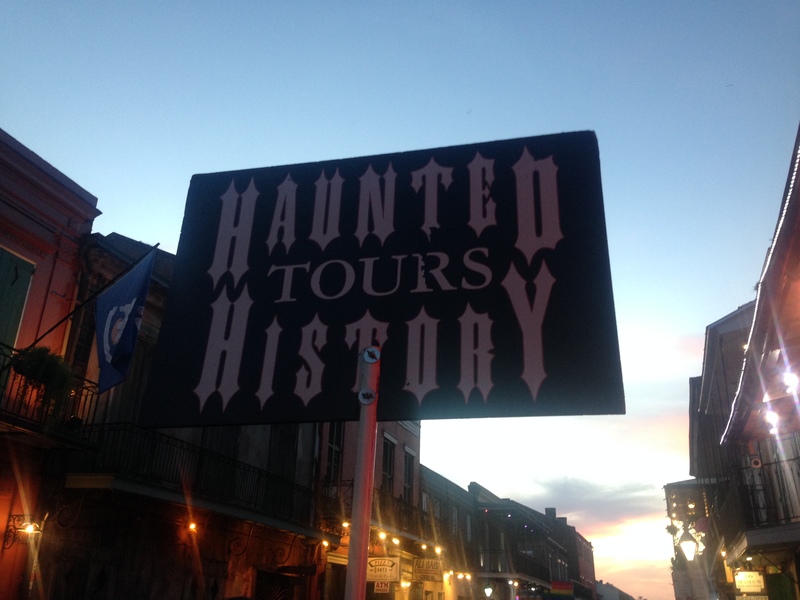 We were led around the city and shown places of significance to the Voodoo faith. 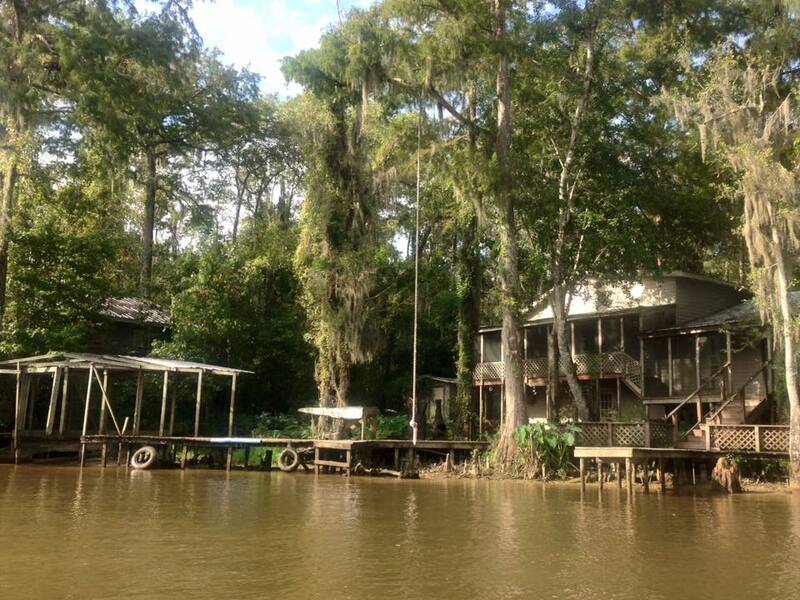 We learnt about is history, its traditions, its practices, and about the Voodoo Queen of New Orleans. I apologise if what I say isn’t 100% correct, but this is what I understood from the tour…Voodoo originally came from Africa, and was brought over to America as a result of the slave trade. The religion was adapted by the slaves, meaning that the Voodoo practiced in New Orleans is different from Voodoo in say, Haiti. Voodoo refers to a spiritual religion, and is not simply a form of black magic as many people believe. This misconception occurred when people mixed up Voodoo, and other religions from Europe which practiced black magic. We learnt that while practicers of Voodoo do believe in magic, this is actually known as ‘Hoodoo’. Amongst other things, Hoodoo can be used to heal, to influence decisions and to help gain wealth. 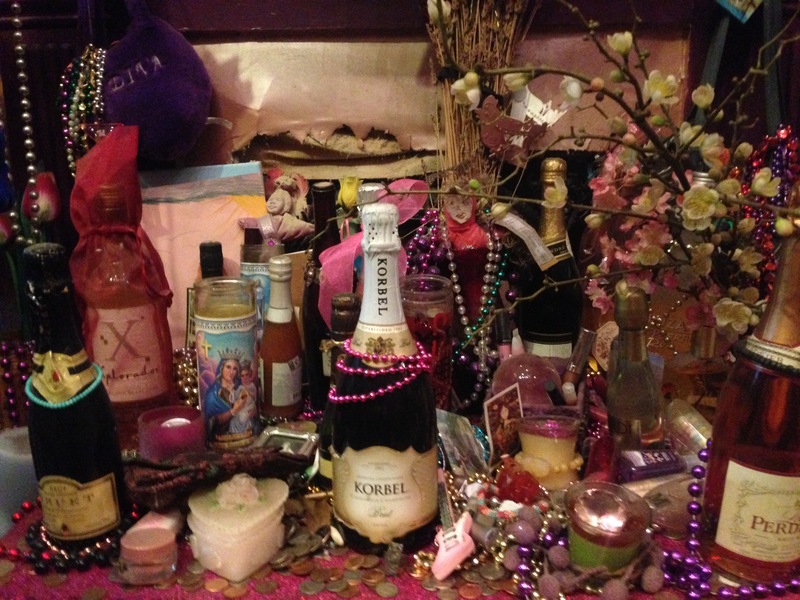 They do also use Hoodoo dolls, although they are not the type portrayed in movies and on the tv. Instead, they are usually used as a way to bless people, or to influence their spirits. Another important aspect of Voodoo in New Orleans was the Voodoo Queens of the 19th century. These women had a huge amount of power, and often had the lead role in ceremonial meetings and ritual dances. They could be paid to create amulets, charms, spells, or magical powders and thus their influence was incredibly widespread. In particular, the guide talked to us about Marie Laveau, known as the ‘Voodoo Queen of New Orleans’. It was said that men of wealth and influence – such as lawyers, business men and politicians, all came to her for advice before making any important decisions. However, at the same time, she put a lot of her time and effort into helping the poor and enslaved of the city, something which I think makes her even more admirable. What I really appreciated about our guide is that she didn’t try and convince us to start worshipping Voodoo, or give us a very one sided perspective about events. She told us that often when people were unable to pay for her service in cash, Marie Laveau would get them to tell her information instead. She also worked as a hairdresser, another place where idle gossip can be overheard. Thus, over time, The Voodoo Queen of New Orleans was able to build up an incredibly complex network of spies and information, which she may also have used to her advantage as well as her skills at Voodoo and Hoodoo. The tour was incredibly interesting, and I thought the guide did an amazing job. 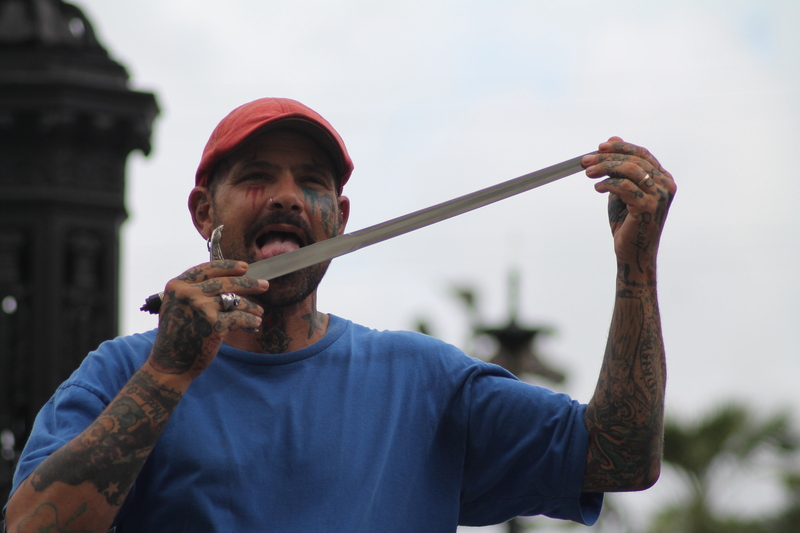 Perhaps I’m a little biased as I found Voodoo fascinating even before this tour, but I would definitely recommend it to anyone who is in the city. 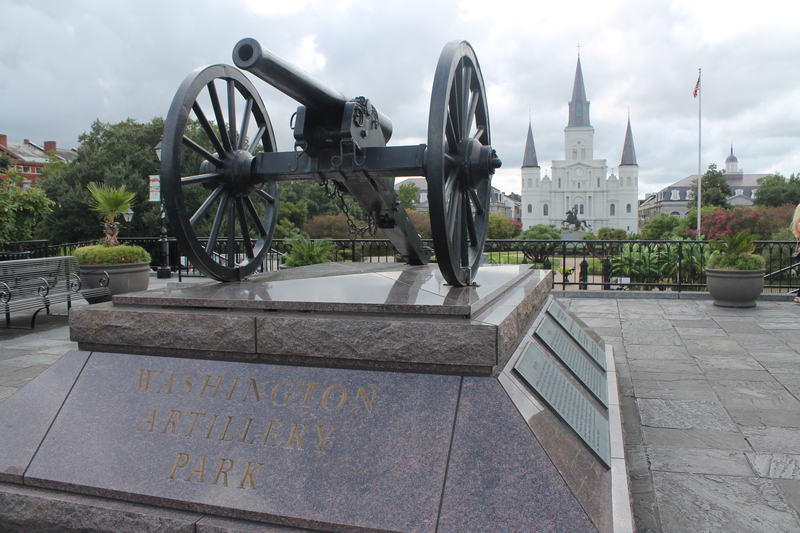 It’s a brilliant way to learn about New Orleans’ history, and about something so different from what many of us believe. Our next stop? 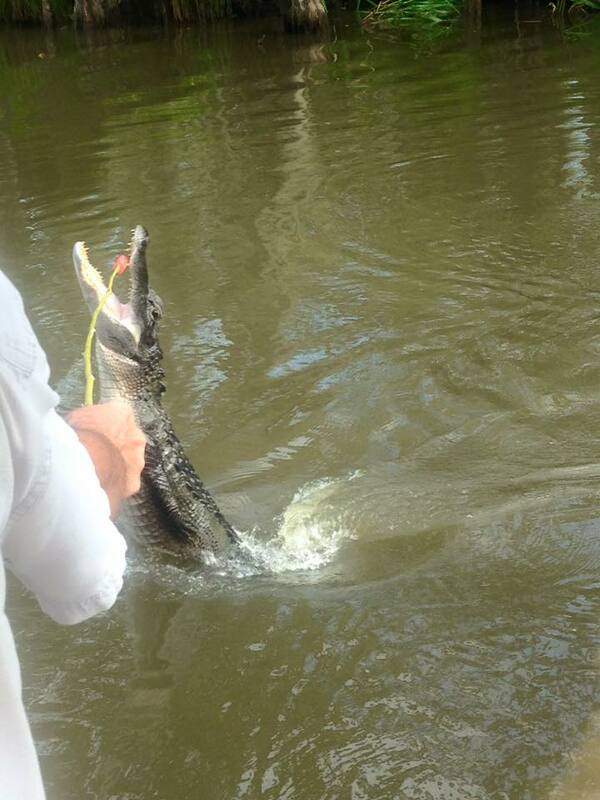 New Orleans! 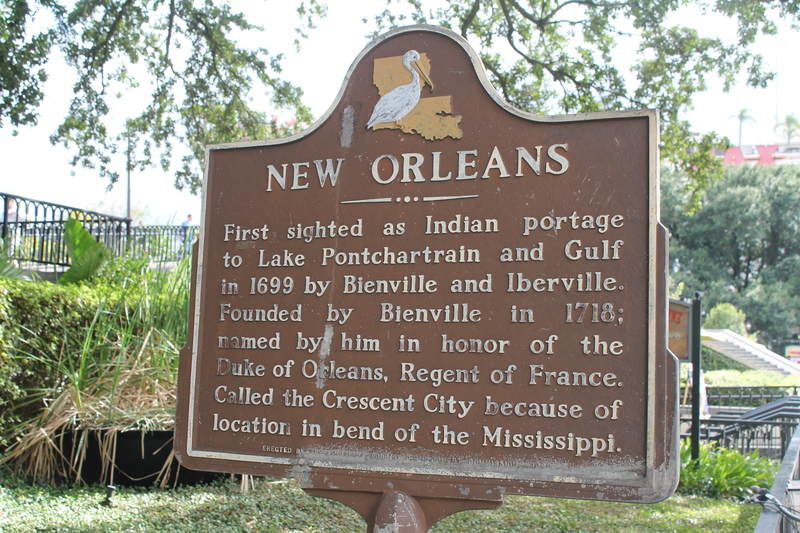 For anyone who doesn’t know, New Orleans is a city in the state of Louisiana. It is the states largest city, and is a major American port. The city was originally founded by the French, and got its name from the Duke of Orleans (who reigned as Regent for King Louis XV for eight years). 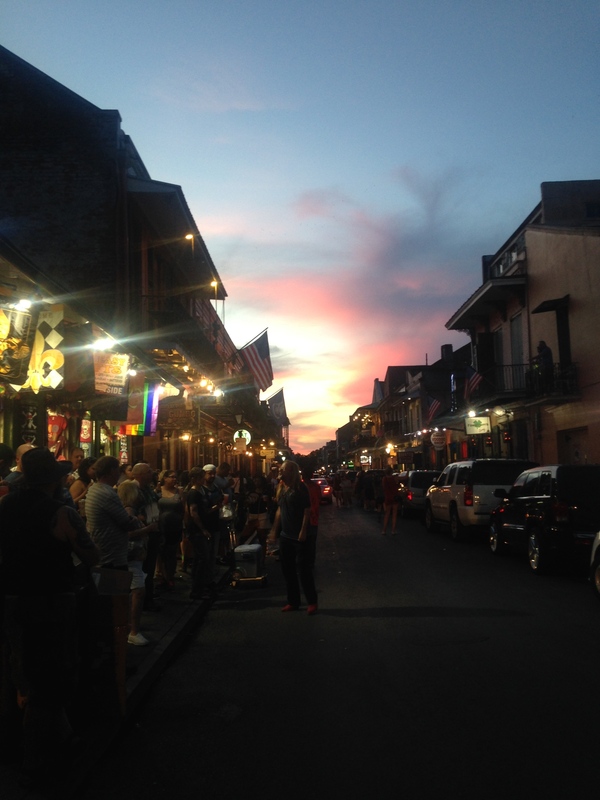 The city is famous for numerous reasons including being the birthplace of Jazz, its annual Mardi Gras festival (which I am determined to see at some point in my life), and, of course, Voodoo. We arrived in New Orleans after a long, hot, tiring car ride. However, we were still determined to get out and explore the city! 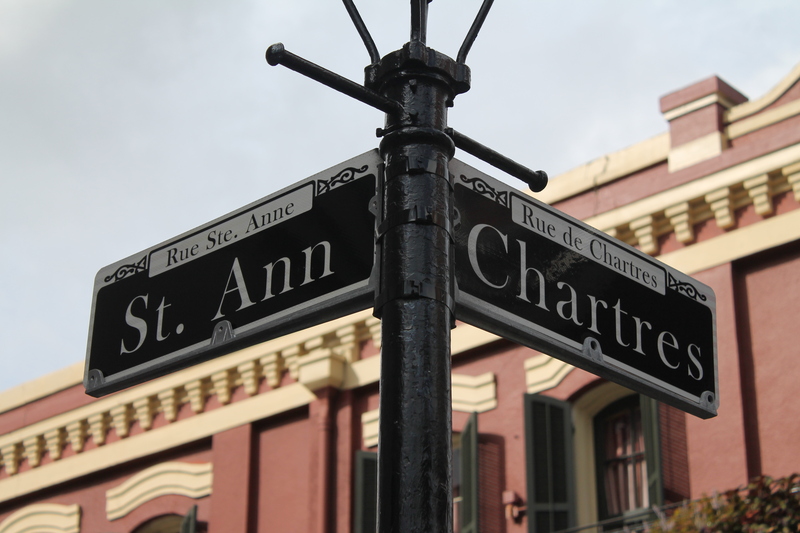 We made our way over to the French Quarter, also known as the ‘Vieux Carré’ (Old Square), the oldest neighbourhood in New Orleans. The city developed around this area after its founding in 1718, and the whole area has now been designated as a National Historic Landmark. It was quite bizarre walking around this area, as it truly did feel as though you had suddenly been transported to the small side streets of Paris. The architecture was gorgeous, and I was able to have a long look at some of the buildings when we were forced to take shelter when the daily rain storm occurred! As we made our way to the main square we passed numerous cafes, clothes shops, art galleries and numerous other interesting looking shops that we wanted to explore. Eventually we managed to drag ourselves away from these numerous distractions to reach the square! I was surprised when we reached it that there were at least a dozen small stalls with men and women offering psychic readings, tarot cards, palm readings etc. I suppose I shouldn’t have found it such a surprise considering the culture of the city, but I just hadn’t been expecting to see them in the square like that. 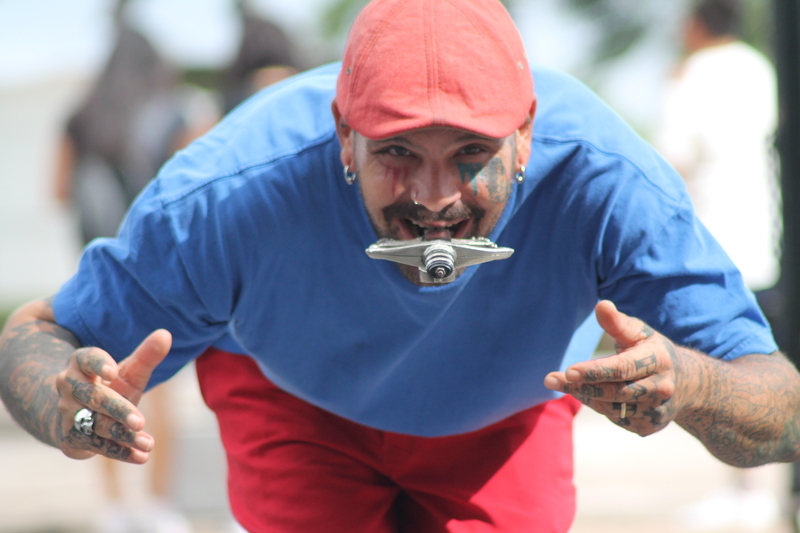 I did however, get distracted watching a street performer swallowing swords – a slightly worrying act to watch! It was fantastic entertainment though (even if it does baffle me as to how it’s done) and it was definitely worth the couple of dollars to watch! Walking around the streets, I was curious as to why there were so many rainbow flags and other Pride decorations. 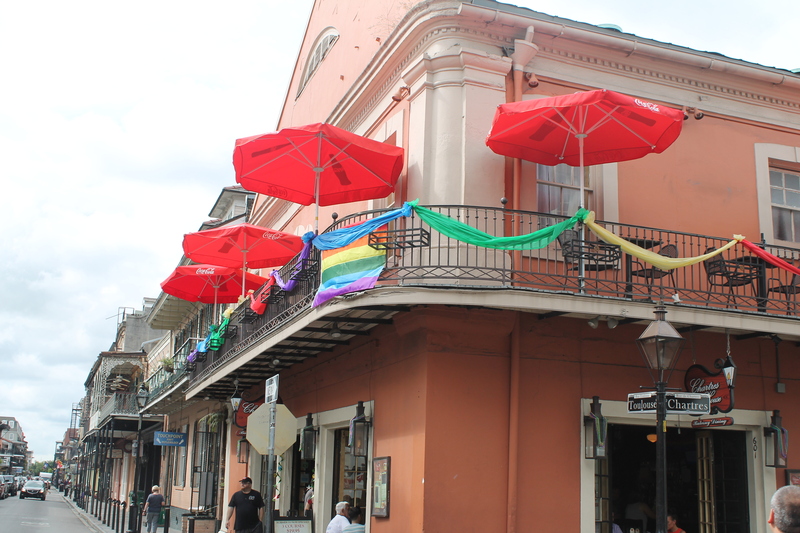 Asking around, we found out that that weekend was the ‘Southern Decadence’ festival (also referred to as ‘Gay Mardi Gras’). We were soon to see how crazy this would be! 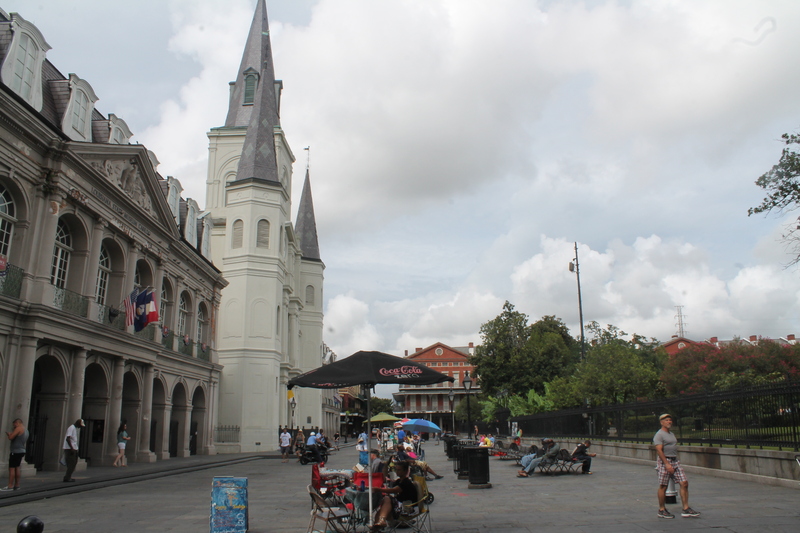 I must confess, before going to New Orleans I didn’t really know much about the city. I knew that it was the home of Voodoo and of Jazz, but in all honesty I think that this was probably mainly due to my love of the movie ‘The Princess and the Frog.’ However, even within a couple of hours of being in this city I was beginning to see how incredible it was, and beginning to fall in love with it. It is definitely being put high on my list of places to travel to again! 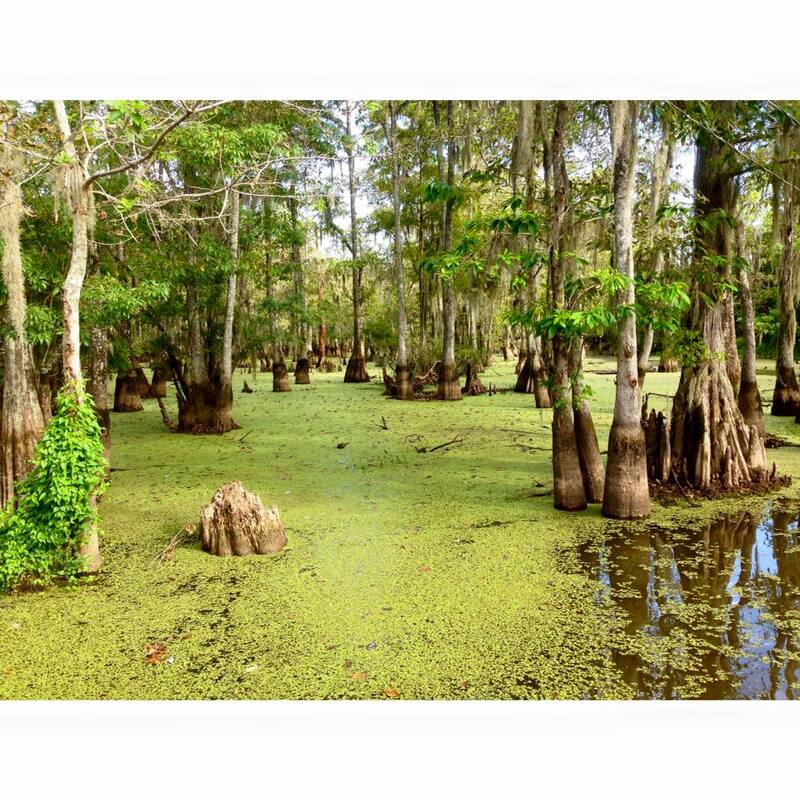 Posted on September 6, 2015 September 6, 2015 Categories AmericaLeave a comment on New Orleans! Now before I start writing this post I have to make a confession…I’m not a massive Elvis fan. Don’t get me wrong, I think that his music is good and if it’s on the radio etc. then i’ll list and enjoy it. But I wasn’t brought up listening to it and it’s not really the type of music I choose to listen to. However, I would like to think that despite this, I’m still able to appreciate when an individual helps to change the world – and this is certainly something that the King of Rock ‘n’ Roll did! 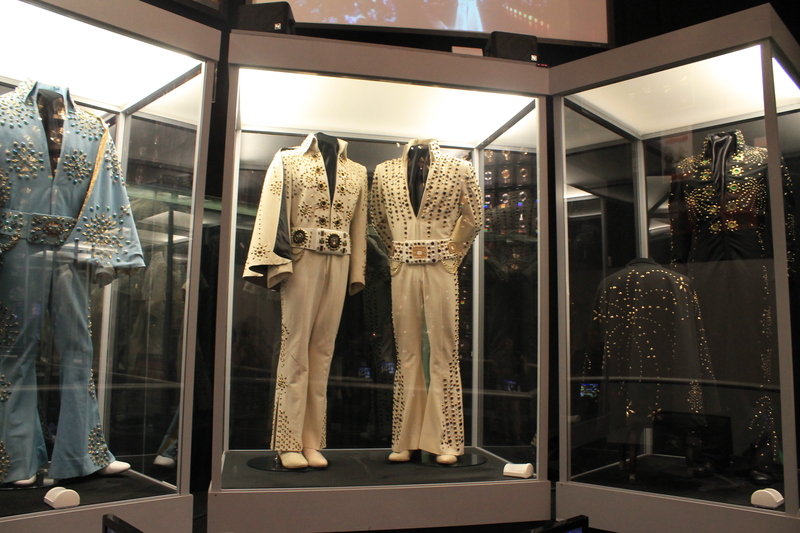 Well, if you haven’t already guessed by now, the next day we travelled to Memphis, and visited Graceland – the home of Elvis Presley. 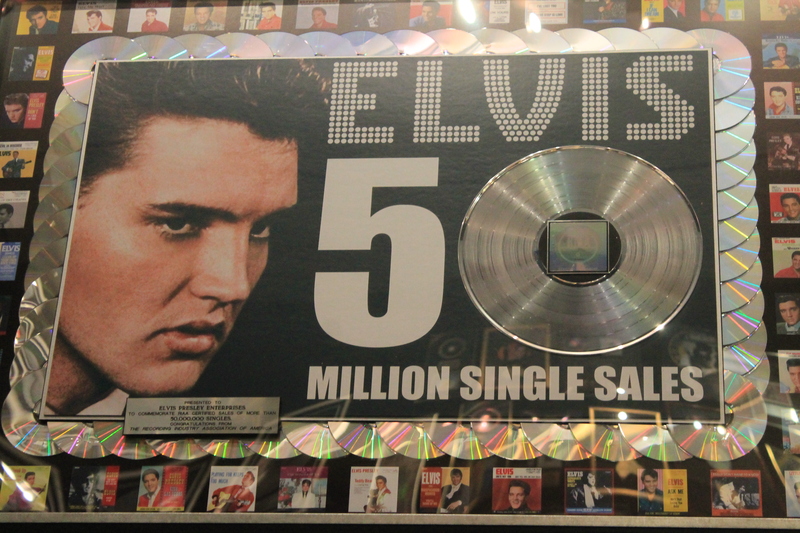 Elvis bought the property at the age of 22, which shows how popular his music had become even at this early age! We were guided through the house with an interactive tour on an iPad, which in all honesty I can’t really decide if I liked or not. On the one hand, it would have been nice to have an actual tour guide speaking to us and leading us around. The headphones prevented you from really talking to anyone else in your group, and I guess led to everyone feeling quite isolated. On the other hand, I was able to hear every single word which was said – which is quite unusual for a tour, and it also meant that everyone could walk around at their own pace which was quite nice. It really was an incredible experience walking around this house. As i’ve already admitted, i’m not a big Elvis fan, but even I was able to appreciate what a momentous moment this can be for some people. It was almost difficult to believe that this was where the King of Rock ‘n’ Roll actually lived with his family. 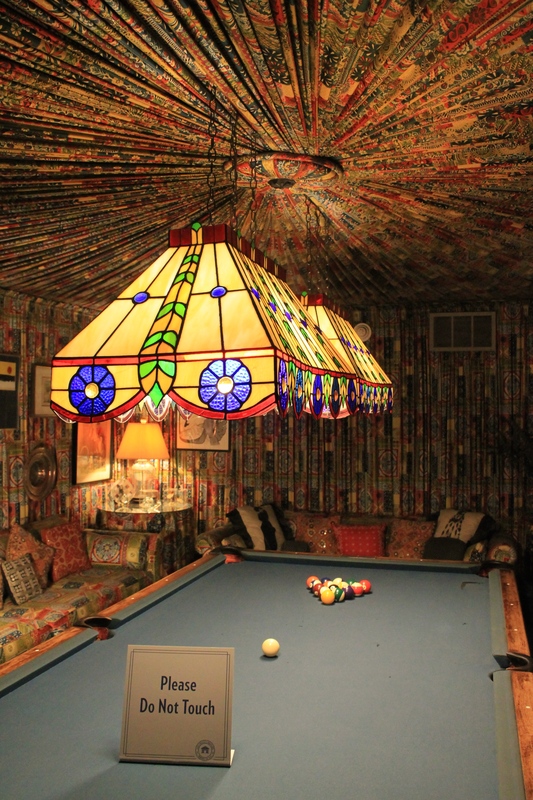 It was a slightly crazy house, with decorations and designs that were, at times, simply bizarre. Although I suppose that from the brilliantly crazy outfits that Elvis often wore this shouldn’t have come as a surprise to me! I’m very pleased that we were able to do this tour. 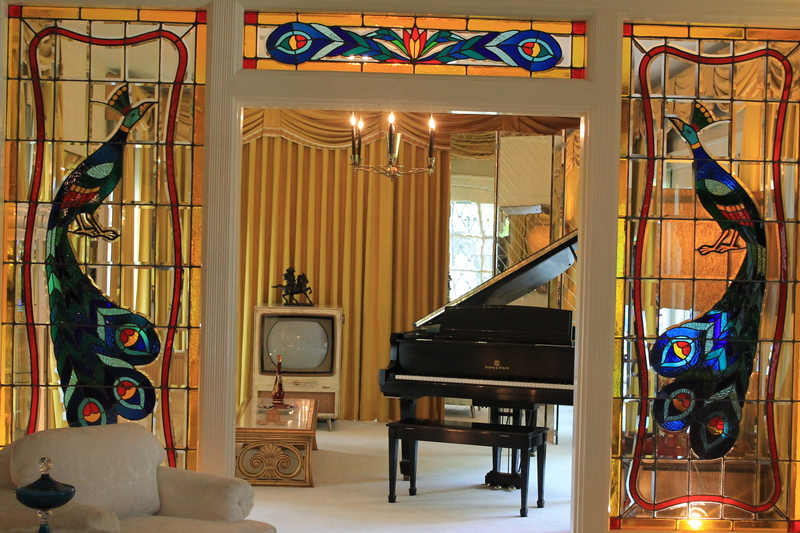 Elvis truly did change the world with his music, and I think the fact that his home still has hundreds of visitors every single day, even forty years after his death, shows how important he was to so many people. 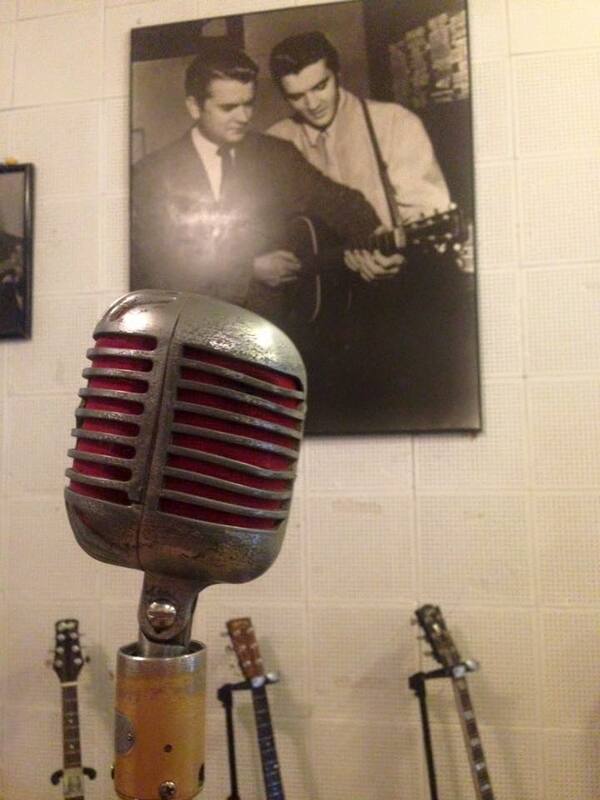 Even if you’re not a big fan of Elvis or the Rock ‘n’ Roll genre, I would still advise paying a visit. 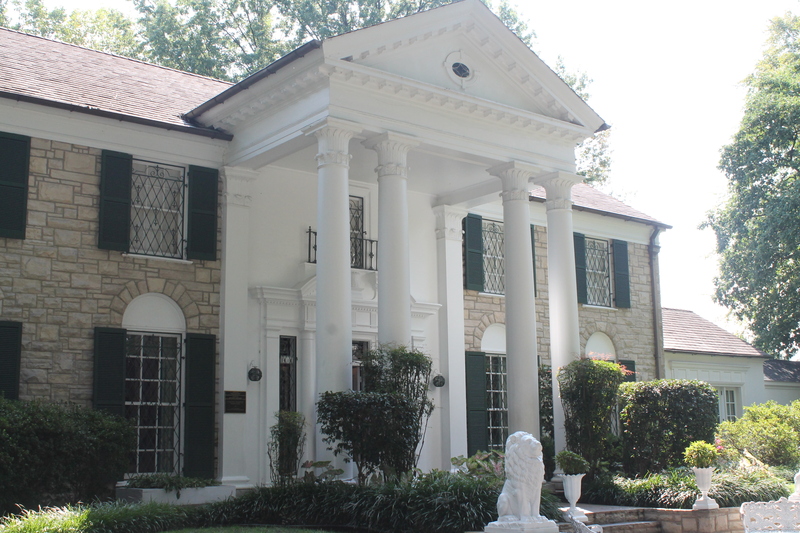 It is the home of a man who helped inspire millions, who changed music forever, and who truly was The King of Rock ‘n’ Roll. Even if the music or the man himself don’t interest you, it’s interesting to see the process of his rise to fame and the influence his career had on the world and its future. 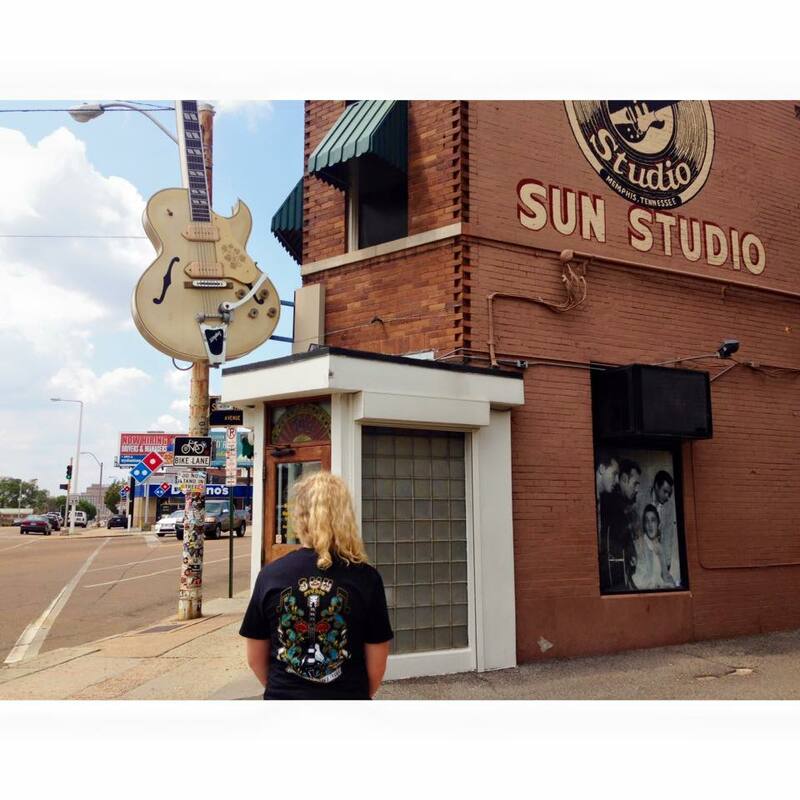 We continued our adventures by visiting Sun Studios, the recording studio where Elvis was just one of a number of stars to record his works. This was also the place that Elvis was first discovered, although the beginning of his journey wasn’t quite as easy as I had always assumed. Naively, I presumed that Elvis would simply have walked into any recording studio, sung, and been instantly recognised as a star talent. 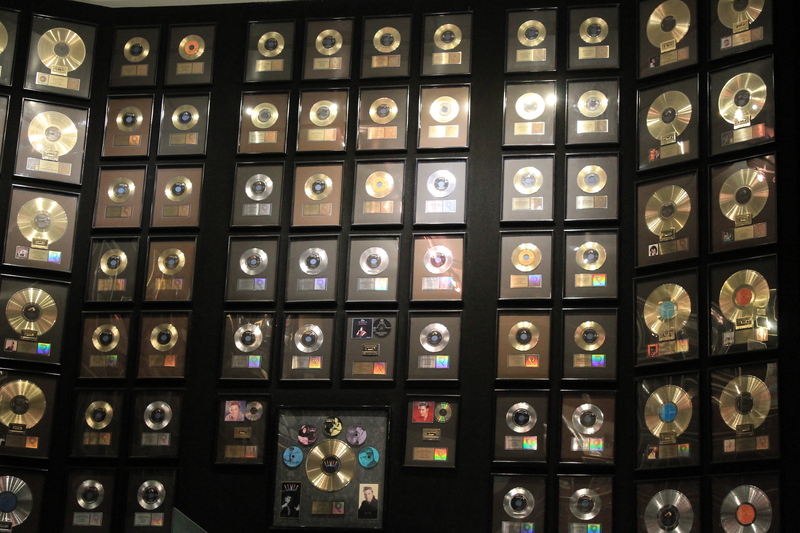 In reality, it took Elvis repeated attempts to win over the owner of the studio before he was able to convince him to record and play his music. 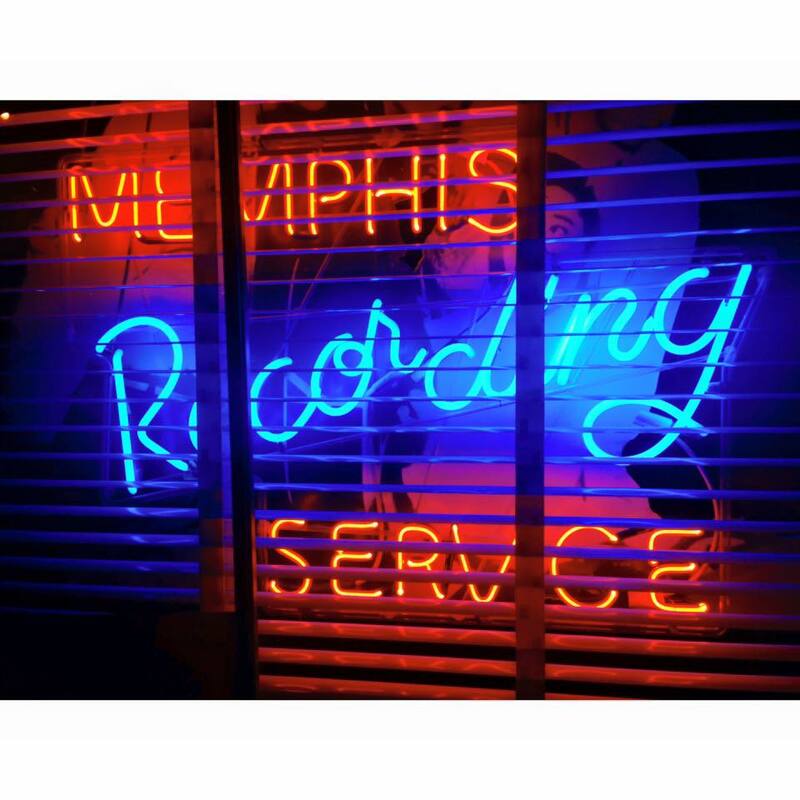 The studio was opened by Sam Phillips on January 3rd 1950. In 1951 a single called ‘Rocket 88’ was recorded there, which is claimed to have been the first rock and roll single. Elvis Presley is not the only famous musician to have been associated with this label however. 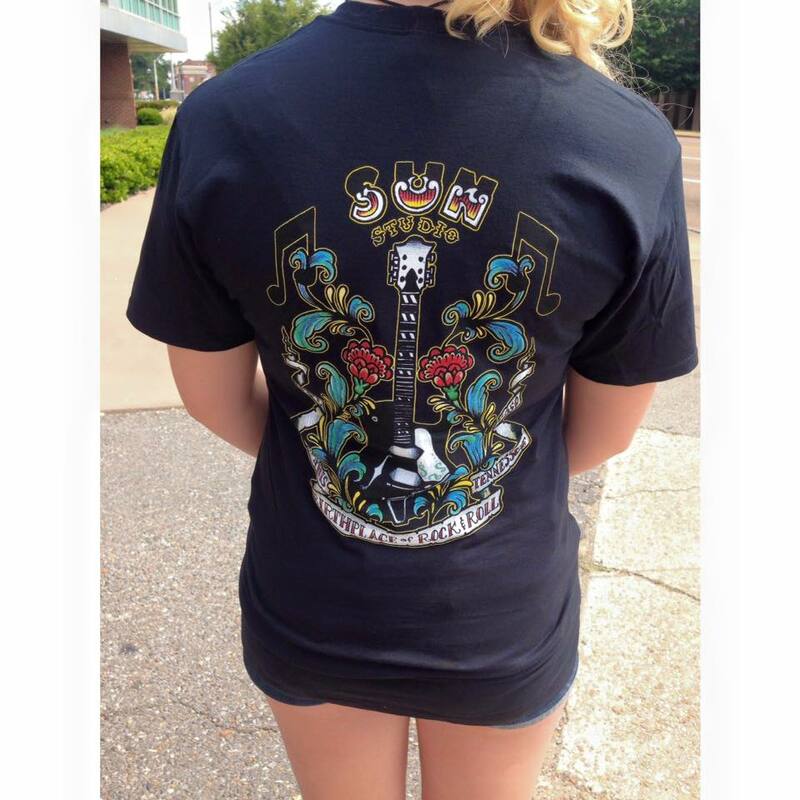 Johnny Cash, Ray Harris, Warren Smith and Jerry Lee Lewis are just a few amongst many others! We went on a tour around the studios which was actually really interesting. It lasted for about an hour, although it felt like it went by a lot quicker than that! The tour guide was really entertaining and knowledgeable. He also felt like the type of person you could actually ask a question, even if you weren’t sure if it was stupid – which is something I like in a tour guide! Honestly, I had never even thought before about how or where Elvis made his music, or what the process was for him in going from an unknown, normal teenager to a global star. This tour was absolutely brilliant and I would 100% recommend it to anyone who is in the area. They also sell really cool t-shirts, and I wasn’t quite able to resist. On the bright side, it was a ‘buy 3 get 1 free’ offer, so a group of us were able to get them at a slightly discounted price! This was an absolutely fantastic day, and I’ll definitely remember it as one of my highlights of the entire trip.